There’s a mystery above Jupiter. The planet is five times farther from the sun than Earth is—and yet has similar atmospheric temperatures to our own. So where’s all that extra heat coming from? It turns out, Jupiter may have a second heat source in its Big Red Spot. In a new paper out today in Nature, researchers from Boston University explain how they constructed a heat-map of the atmosphere using infrared emissions thrown off by the planet. With that heat map, researchers were able to trace the temperature spike to its source. The highest temperatures were consistently over the planet’s Great Red Spot, an ever-present storm system larger than two Earths. Researchers had previously flagged the turbulent storm as a potential heat source but, until this study, had no way to back up their hunch. Now that this team pinned the heat to a likely source, though, researchers have even more questions. The precise mechanism by which the storm system’s heat transfer works, for instance, has yet to be uncovered. Equally intriguing is the question of what will happen to Jupiter’s atmosphere as the Great Red Spot changes. This “perpetual hurricane,” as researchers describe it, has raged for centuries at least—but that doesn’t mean it’s going to keep on going forever. Previous studies have shown that the giant spot appears to be steadily shrinking with age. 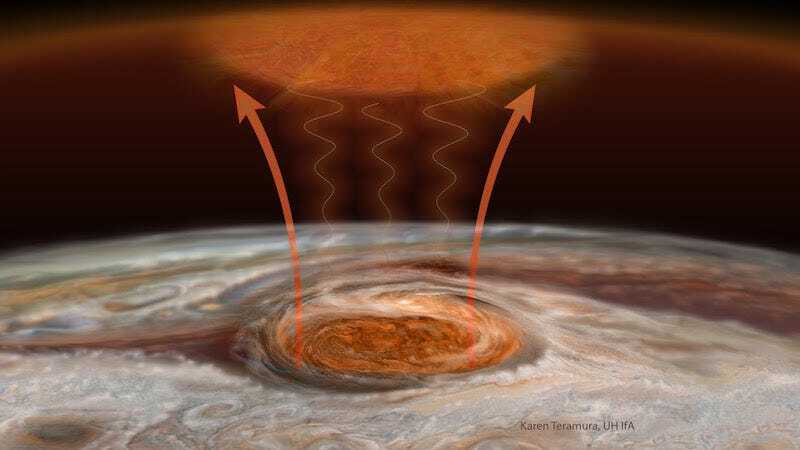 If the Great Red Spot is indeed one of the primary heat sources for the planet, then it would make sense to see Jupiter cool down as it shrinks. If nothing else, a gradual cooling of the planet’s temperature would confirm that scientists have indeed solved the mystery of Jupiter’s extra heat. Tulika Bose stands guard over the printer. She’s carried her laptop down the hall and submitted her print job on arrival to be certain that she will intercept her papers before anyone else has a chance to see them. Her documents contain secrets. Bose is a physicist working at the Large Hadron Collider (LHC) in Switzerland. Her work has nothing to do with weapons or national defense or space exploration or any of the usual top-secret stuff physicists work on. What her files contain are ideas about what we—everything under the sun and beyond it—are made of. Her documents could contain the secrets of the universe. 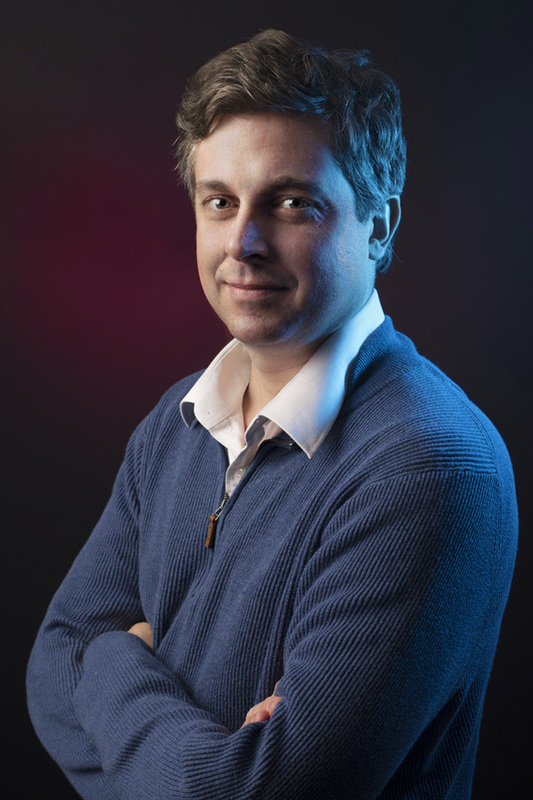 An associate professor of physics at Boston University, Bose is part of a cadre of physicists at BU committed to understanding matter down to its smallest particles and most intricate interactions. BU is unusual, one of only a small handful of US universities with researchers working on multiple experiments at the LHC. These experiments are looking for signs of particles that have never been seen before. The particles familiar from high school physics—electrons, protons, and neutrons—were just the beginning. Over the past several decades, physicists have confirmed that there are six kinds of quarks; three types of leptons; and assorted bosons, including photons, gluons, and the famed Higgs. These particles only exist in high-energy environments, such as the LHC, where protons are sent hurtling around a ring at speeds very close to the speed of light, colliding together spectacularly. All of the particles that are predicted to exist by the accepted theory of particle physics, called the Standard Model, have been found through experiments like those done at the LHC. 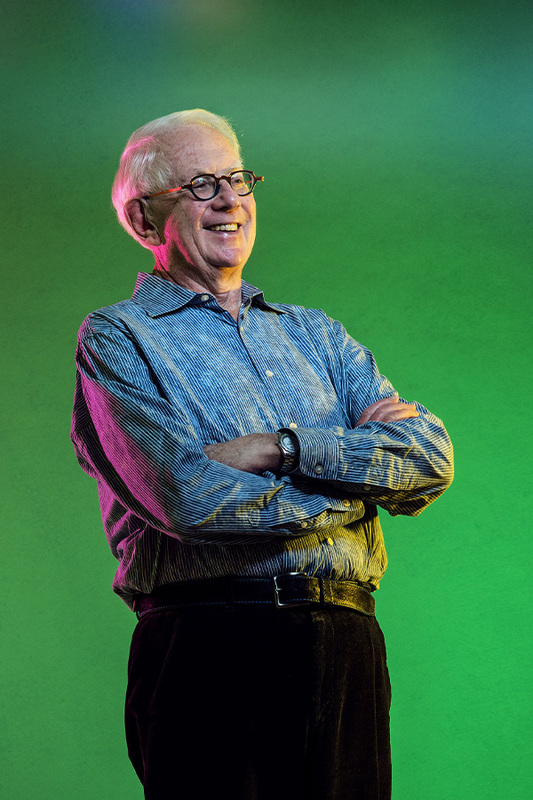 U also happens to have on its faculty Sheldon Glashow, a BU College of Arts & Sciences physics professor, who won the Nobel Prize in Physics in 1979 for his work developing the foundations of the Standard Model. Theorists like Glashow and Kenneth Lane, also a BU professor of physics, and experimental physicists like Bose have become masters of the Standard Model and are spending their careers trying to figure out one thing: Is there more to the universe than what we know right now? The answer, almost surely, is yes. When physicists look for new particles, they are really looking for “bumps” in the data produced by their experiments. A bump indicates that something appeared with energy or mass that was different than expected. 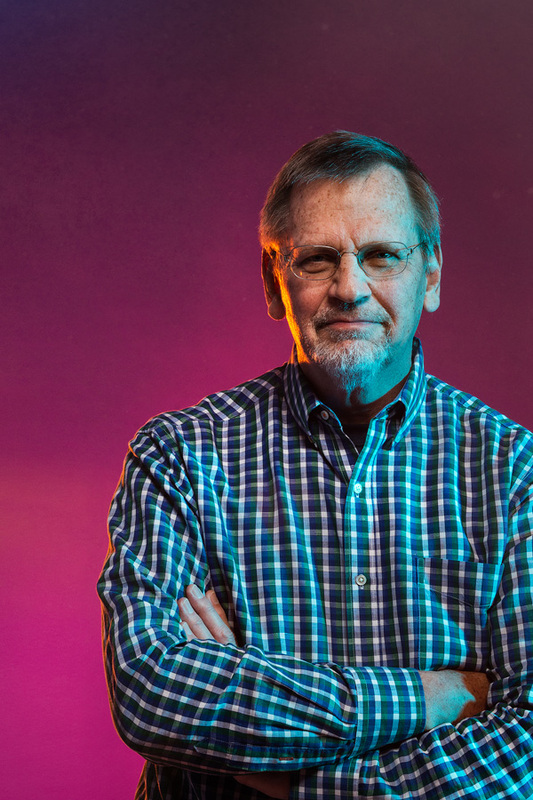 “We call it ‘bump hunting,’” says Steve Ahlen, BU professor of physics, who represents yet another flavor of physicist. A hardware physicist, Ahlen has built muon detector chambers with his own hands and led their construction in Boston. Those built in Boston were auspiciously placed at the LHC and captured a good portion of the particles that allowed researchers to confirm the existence of the Higgs boson in 2012. The hunt is on, at a time like no other in physics. The quest reached a pinnacle with the Higgs boson, but finding it wasn’t the end. It was just the beginning. The Large Hadron Collider is currently the world’s highest energy particle collider. It is also the largest machine ever built. The circular tunnel around which proton beams fly is 17 miles wide and buried 574 feet underground in a rural area on the border of France and Switzerland at the European Organization for Nuclear Research (CERN). The collider’s job is to smash particles together at high speeds and record the spray of shrapnel that results, so that physicists can look for signs of new particles. If they find something that looks interesting, they piece the data back together again, retracing the paths of all the particles in the spray back to the collision that caused them. In 2015, the LHC operated at 13 tera-electron-volts (TeV), the highest energy level yet. One TeV is a trillion electron-volts, which sounds like a lot. It is, but it is small compared to the energy consumed by light bulbs and laptops and other things of daily life. A tera-electron-volt is approximately equal to the energy of a single flying mosquito. What the LHC does, beyond multiplying that energy by 13, is compress it into the space of a proton beam, a million million times smaller than a mosquito. At this energy level, the LHC can accelerate protons to speeds extremely close to the speed of light. Further, it bundles those protons, with each beam containing a thousand bunches of about a hundred billion protons per bunch. Packing far more punch than a mosquito, the total energy of a beam is more like a 17-ton plane flying over 460 miles per hour. In March 2016, the collider began running again, this time with more intense beams. This increased brightness will make for more collisions per second, so the LHC will produce approximately six times more data than in 2015. “We’re just beginning to tap its potential,” says Kevin Black, an associate professor of physics at BU, and also Bose’s husband. Bose and her students work on an experiment called CMS at LHC. Black works on a different experiment there called ATLAS. The CMS and ATLAS experiments are, at their core, two different pieces of hardware that detect particles. They sit at opposite sides of the beam ring surrounding two separate beam intersections, where they capture all of the shrapnel from the proton-proton collisions that occur at their centers. The ATLAS detector, which Ahlen helped build, is a 75-foot-high, 140-foot-long machine in which five layers of detection hardware measure the momentum and mass of particles produced when protons smash together. CMS, for Compact Muon Solenoid, is considerably smaller and more dense. It captures the same types of particles as ATLAS, just in a different way. These machines can detect all of the particles defined in the Standard Model. Take muons as an example. A muon is a tiny particle, even by the standards of particle physicists, that is produced inside colliders and also when cosmic rays strike the atmosphere. When Ahlen got involved with the development of detectors for particle colliders in the 1990s, it wasn’t clear how to detect muons affordably. He came up with a simple solution: A twelve-foot-long, two-inch-diameter aluminum tube, crimped at both ends and filled with gas, with a wire stretched under tension from end to end. “If you pressurize it, it can localize the trajectory of a particle that passes through the tube,” he says, waving around a spare tube he keeps behind the door in his office. The ATLAS detector, which has several layers of specialized particle detectors, contains about 500,000 of these tubes. They were built all over the world to exacting standards, many in Boston by Ahlen, who borrowed and bartered equipment and materials to get the job done. While the tubes themselves might not seem so special, keep in mind that each tube in the ATLAS detector must be precisely placed. “We know where each wire is to less than the width of a human hair,” says Ahlen. There were 40 million beam crossings per second, and about a billion proton-proton collisions per second, in the last run of the LHC. The time-stamped data flows from each detector down an electrical pipe to join with others in a raging river of data. Carefully coded computer algorithms determine which events to keep and which to throw away. Bose, who is the “trigger” in charge of this gatekeeping for CMS, saves only about a thousand events per second. A lot, but still just a tiny fraction of the data produced. CMS and ATLAS produce and save independent sets of data and have independent teams analyzing it. Bose, for example, is one of nearly 4,000 people working on the CMS experiment, while Black is part of a team of 3,000 people working on ATLAS. The teams sift through their data in secret, without sharing early results. At a time when data sharing in science is all the rage, secrecy seems to go against the grain, but it is a necessity in physics. In the past, there have been cases where rumors about the early sightings of new particles lead to false discoveries. In one case, physicists started looking for signs of a new particle people were buzzing about. “Any run that had a little bump in the rumored location, they kept,” says Black. “Anything that didn’t, they found a reason to throw out the data. Inadvertently, they self-selected the particle into existence.” In the end, an unbiased look at the data proved that the particle did not exist. In the end, it isn’t just secrecy that keeps the science pure. Particle physicists have also set a very high bar for discovery. For a new particle to be accepted, scientists must be confident that it is not a statistical fluctuation. They’ve agreed on a number, 5-sigma, which means that the chance of the data being a statistical fluctuation is 1 in 3.5 million. The concept of sigma might be familiar from basic statistics—or from tests graded on a curve. One standard deviation from the mean on a bell curve is called one-sigma. Students scoring two- or three-sigma above (or below) are rare and end up with the grades to prove it. But the LHC doesn’t make its findings based on a single test. A bump at the LHC stands out against the bell curves of all the tests ever run. This mass of data all taken together, says Bose, is called “background.” It forms a landscape that has become familiar to physicists. A bump like the Higgs appears as a blot on this predictable landscape, a little like the unexpected genius who shows up for test after test and busts the curve. The bump that physicists recognized as the first sign of the Higgs boson was produced by data from about 10 collisions. Even with such scant data, the confidence level was about 4-sigma because the Higgs stood out so starkly against the familiar background. Later, when all of the data came together, about 40 events produced a more pronounced bump with a confidence level of 8-sigma. “That’s a very clean discovery,” says Ahlen. The LHC fired up its proton beams again in March 2016, and saw its first collisions on April 23. The hope is that at the planned higher energy level, it will produce more dramatic collisions that will allow physicists to discover something new. Physicists refer to their quest as a search for “new physics,” begging the question: What’s wrong with the old physics? It’s not so much that the old physics doesn’t work—it does, amazingly well—but ask any particle physicist, and they will tell you there’s something about it that just isn’t satisfying. Parameters have to line up in very specific ways for some calculations to work out. If something is off by a smidgen, everything falls apart. “This kind of special balancing out of parameters in the current theory gives us the impression that there has to be some underlying principle that we’re missing,” says Black. So it is and so it has always been in physics. It all started back when the Greeks came up with the solid but incomplete idea of the atom. Centuries later, Newton’s experiments resulted in Newtonian mechanics, which brilliantly explain the day-to-day physics of the movements of planets in space and objects on Earth. Things got heady in the late 1800s when scientists started to understand electrical currents and magnetic fields. The early 20th century gave rise to quantum theory, which explains the world of tiny, energetic things, like photons. According to Lane, every successful theory has engulfed its predecessor. “Quantum mechanics ate the physics of the 18th and 19th centuries alive,” he says. The most recent meal, so to speak, was devoured in the 1960s and 70s by the Standard Model. By 1960, physicists knew about weak nuclear forces, which govern how particles decay into other particles. But no one knew how this force was related to existing theories of electromagnetism. Glashow worked out a new model for weak nuclear forces that relied on three new particles. But ultimately, Lane is interested in figuring out what the most basic, fundamental particles are and how they interact with one another. “Right now, we have a story for that, but there’s always been a story for that,” he says.